Wied Għomor is a scheduled area of ecological and scientific importance. The planning review tribunal will hold its final hearing on a controversial application to build a 133-room retirement home in a disused quarry in Wied Għomor. The application, which includes a parking area and access road, was unanimously rejected by the Planning Authority board in May 2016. The developer appealed. The tribunal has heard final submissions from the developer and objectors, including the Swieqi local council, but a decision on whether to overturn the PA’s refusal will be announced at a later date. In a statement on Tuesday, Flimkien Għal Ambjent Aħjar urged the tribunal to confirm the refusal and to “take heed of the policies calling for Wied Għomor’s protection to ensure that this last remaining green lung is not compromised beyond hope”. FAA said planning policies concerning the valley specifically called for the regeneration of its degraded areas and state that any “development or activity that would jeopardise the protected status or the conservation of the valley will not be permitted”. 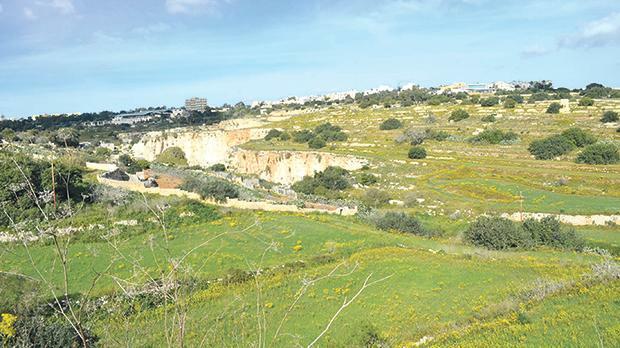 The environmental group was among several that had objected to the original application, along with local councils from the surrounding towns of San Ġwann, Swieqi and St Julian's, and some 4,500 residents who signed a petition urging the PA to turn down the application. Objectors cited the valley’s unique character – the site is surrounded by terraced fields and rubble walls – and the need to protect it, as well as the increased traffic the project would bring. The developers have argued that the project will have a small built-up footprint and follow the original contours of the site, therefore minimising its environmental impact while rehabilitating the quarry. Wied Għomor, a scheduled area of ecological and scientific importance, has been subjected to an unprecedented number of development applications in recent years, stretching local councils to their limits in an attempt to preserve its rural character. Environment Minister José Herrera said last April that he had personally proposed the threatened valley for protection under the Public Domain Act, which would have offered a further safeguard against commercialisation and overdevelopment. However, it was later revealed that the proposal had been submitted after the cut-off date and would not be considered for at least another year.